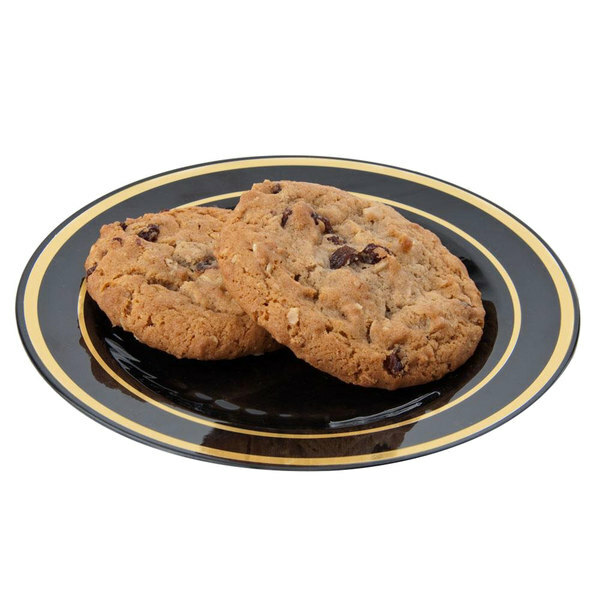 Create a sophisticated presentation at your next catered event or special meal with this Fineline Silver Splendor 506-BKG 6" black plastic plate! 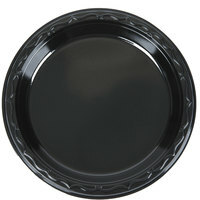 Made of heavy weight plastic, this strong and sturdy Fineline Silver Splendor 506-BKG 6" black plastic plate is perfect for wedding receptions and luncheons. 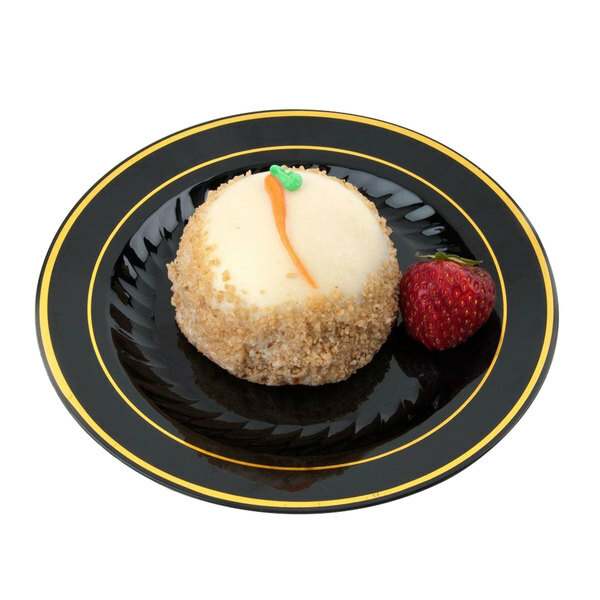 It's great for serving desserts and appetizers, adding style and class to any tabletop. 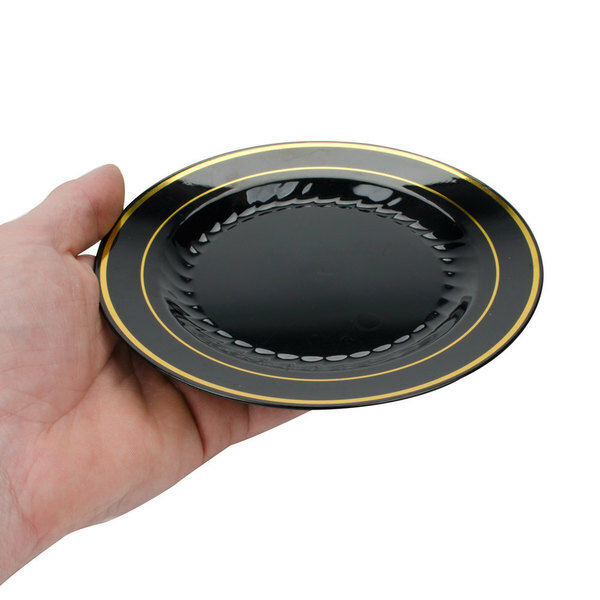 Plus, it's embellished with two golden bands to give it a distinct style that combines the convenience of plastic with the elegant appeal of china. 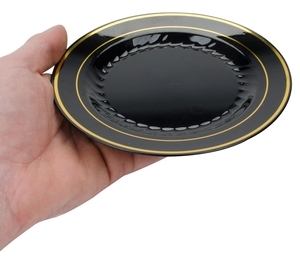 "Super classy plate! 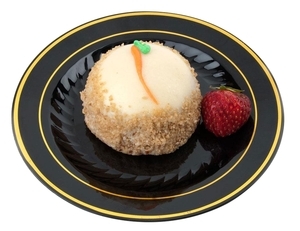 What a great way to put on a classy presentation and save labor on dishes! We're almost sad to throw them away at the end! Everyone loves the presentation." 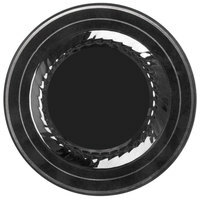 Lighter than chinaware options, this plate is not as fragile or costly so you don't have to worry about extra breakage expenses. It's easy to transport, stack, and store, saving you valuable storage space, too. With the classic elegance of the Silver Splendor collection, you can provide your guests with a dining experience they will remember. 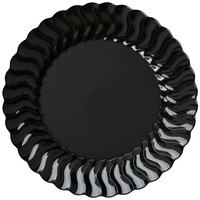 This plate is made of durable heavy weight plastic, making it ideal for serving rich slices of cheesecake, firm slices of pie, complete side salads, and even small sandwiches. 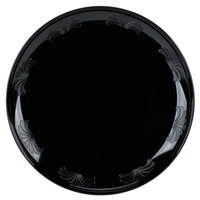 It's perfect for bread and butter, appetizers, fresh fruit, or fresh vegetables. 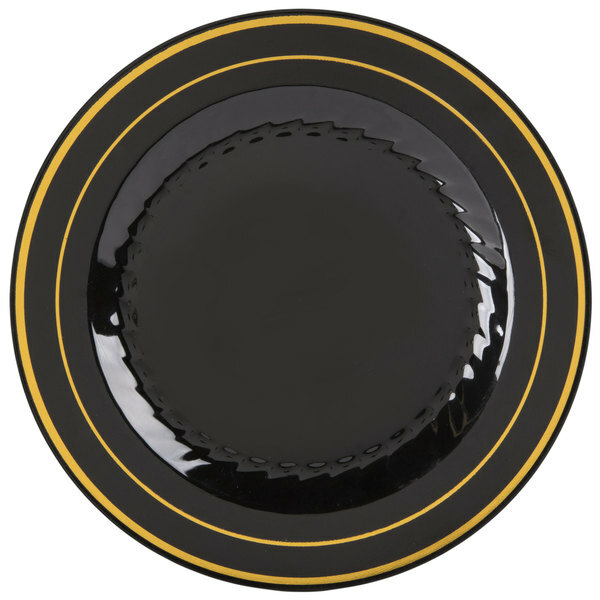 Two metallic gold bands trace the outermost rim of each plate for an elegant appearance, no matter the occasion. 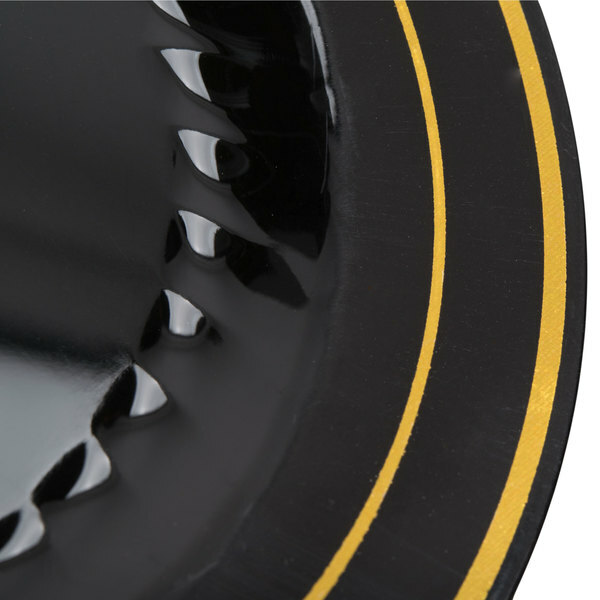 At the same time, the sleek black surface of the plate provides a pleasing contrast to the gold accent bands, ensuring a professional presentation, fit for any event. 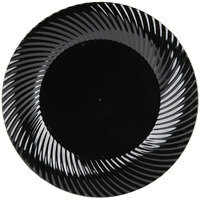 This plate is a perfect 'dressed up dinner' choice without a hefty price tag. The beautiful gold bands around the black luster color just sets off my table setting. Super classy plate! 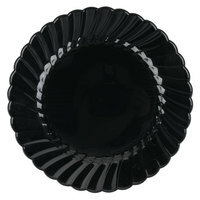 What a great way to put on a classy presentation and save labor on dishes! We're almost sad to throw them away at the end! Everyone loves the presentation.